Yesterday I read a random news clip about a woman journalist in a closed country recently jailed and banned from writing for 30 years. It is in a magazine upstairs by Kiersta’s rocker, but I’ll wake her if I attempt to give a credible citation. This writer is not alllowed a computer, pen, paper, and probably no chalk. I am horrified at such a sentence and pray for her, begging that at least a rock is found underfoot to scratch the walls with. No writing for a writer? To the soul it would be like taking water away from the body. So I write tonight not because I have had the time to process and put down some cohesive thoughts lately, but in honor of this dear woman. If I were her I would want the wide world to write tonight. Proclaim all that is good and true, all that delights and leaves one tantalized by the thrill of being alive, by the goodness of a gracious God and the hope that this story we all find ourselves in indeed has an amazing end. So I write. 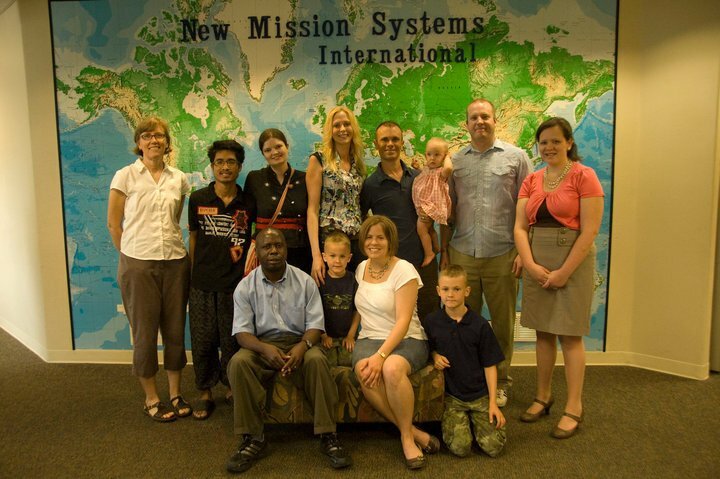 We are knee-deep in seven weeks of training here at New Mission Systems International. From eight o’clock until five we are in classes. My first thoughts were “what can we possibly need to do for seven weeks?” but now I understand. 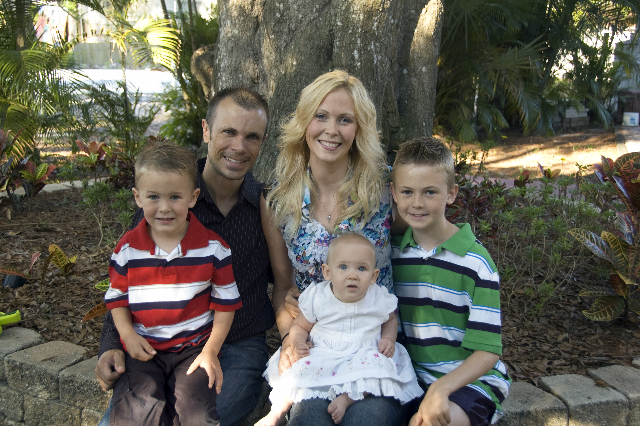 For a mother who has been home with children for almost ten years straight, it is exhilarating to have my intellect challenged and my heart stirred again with God’s passion for the nations. Benjamin and I have felt that we have been on an extended date as it is good to know each other again as students and dwell in our shared and growing vision. In many ways, we have waited and longed for this our whole married lives and belonging here in this community of grace and in this global missional context is deeply emotional and healing and simply exciting for us. We smile a lot. If we were not sure that God indeed brought us here, summoned us to this next assignment we would think we were crazy. After all, who would choose to have to personally raise all of their living and ministry expenses to work in an office, on a campus in the US? The support-raising will come this summer and we are excited to invite others to partner with us in what God is doing here and around the world with over 200 missionaries. We have spent many hours in purpose planning about our vision, mission statement, goals and aims. If you know me, you know I love this stuff! As for training, we are covering thinking skills, issues on world missions, HIV/Aids, spiritual formation, conflict resolution, financial stewardship, third-culture kids, women in ministry, team dynamics, youth hope, agriculture, personal and marital counseling, poverty response, enculturation, language learning skills, communication, living “truefaced” with vulnerability and grace as well as other topics. We’ve enjoyed the lively discussions and study as well as filling our temporary missions house (our things are in storage for now) with people for various lunches and informal dinner events. The boys are finishing up their schooling for the year with teachers and Kiersta is almost walking. Anders likes to invite anyone he sees walking through campus for a meal, especially Tuesday Spanish lunch! Although this is a sending place for missionaries, we plan to stay here at the Center for Global Outreach. Ben will use his gifts and experience to run the facilities, oversee new construction and do work projects to serve internationally as needed. He is so giddy about this! The dear man who was doing this position passed away only several weeks before God brought us here. This campus is a vital place for the training, facilitating, housing and administration of the work that is happening in over 28 countries in the areas of church planting, orphan care, theological education, agriculture micro-businesses, health clinics, and the list goes on. My purpose will be to serve, influence and empower women globally to fulfill their God-given potential, eventually hoping to start an arm of the mission that specifically equips the church globally to meet the holistic needs of women in a radical way. There is much teaching, research and writing to be done to discuss the issues of women. I have also been honored to sit down with the many women on staff here or passing through, getting to know their stories, praying with them and exhorting them as God leads. The relationships, work and possibilities are endless. I’ve been pondering a recent personal study of Christ’s use of the word “church” in Matthew 16. He first introduced this word in the context of a kingdom, for in the Greek understanding of the day, the only context for this word was legislative. “Church” has to do with being a governmental force with spiritual authority, not our relationship with God. Jesus was calling the disciples, calling us to be his governmental force in the spiritual realm. When we go to “church”, a divine congress is meeting to get their assignments. Way beyond friendly fellowships and sweet choirs, the movement of God’s kingdom upon this earth demands that we know what our orders are and carry them out with intentional boldness! That’s how we view being here and going forward with this mission–we want to carry out our orders with power and authority, confident that He who calls will equip! Now that’s worth writing about. And living for. Church, Congress of the Most High God, let’s get to it! Previous Post What We Believe About Anger (is usually false). Next Post God Asks Us to be Risk-Takers. So glad you are going through the book again for a fall study! This is the first I have heard of this starting to happen. A leaders/study guide/response journal will be out this summer for purchase or free download off my website. Getting it together as a writer girlfriend of mine in Spring Lake is almost done with it. Also, a video trailer for the book will be out in the next month. We’ll keep you posted! Hoping to get up that way this fall. It is so good to hear more of what is going on with you guys. Our daughter Melissa is looking for a jumping off point into missions (preferrably something besides university) and I tried to click on the New Mission Systems International link but it didn’t work. I googled and found it, but thought you might want to know. God bless and keep us all posted. It’s cool to hear what you guys are doing! You must be very busy there! We miss you sooooo much! Inviting people to eat lunch, that’s sure my outgoing Anders! Have a great Summer! Cheering you guys on. That you may- Run the race set before you with endurance…. looking unto Jesus, Author and Perfecter of your faith.